Fire Magic drawers have a sleek, contemporary look designed to complement Fire Magic Grills while providing an efficient way to add storage and functionality. 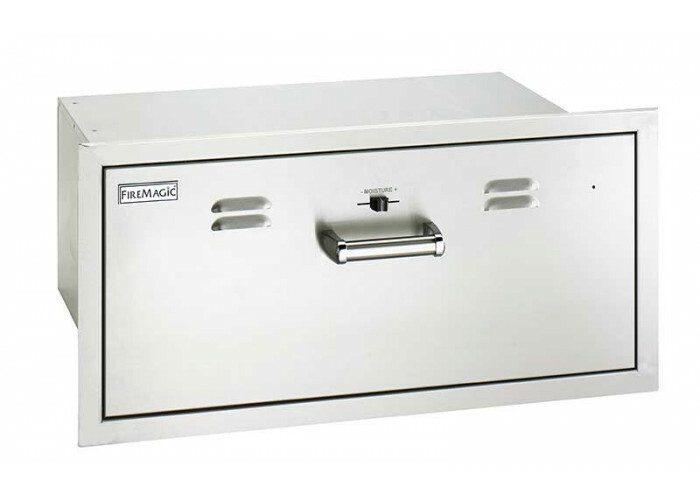 Featuring heavy-duty handles with cast stainless steel mounts, these doors and drawers are designed to close flush with the frame with a strong magnetic latch. Filled with polyurethane foam for insulation and a solid feel.